While the weather outside grows increasingly colder, people only have warm memories about their favourite summertime treat, ice cream. Most adults can fondly remember running after the neighbourhood ice cream truck – wasn’t that half the fun, anyway? But the love of ice cream doesn’t stop when kids grow up. It’s true that ice cream is a timeless dessert, enjoyed by the young and old alike. 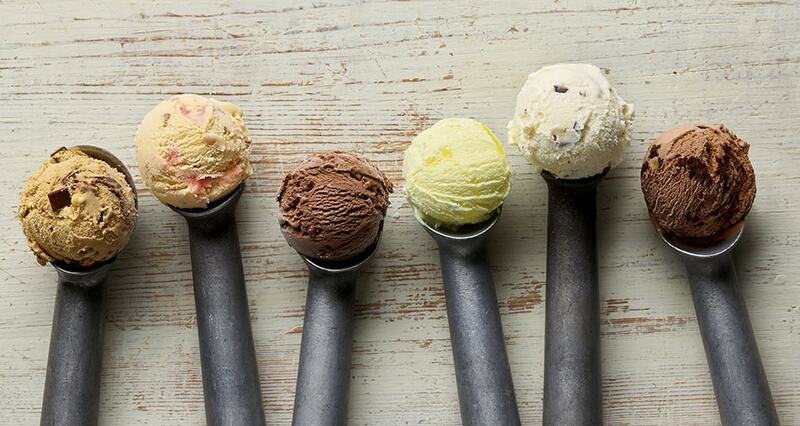 We’re all familiar with the classic ice cream flavours, (vanilla, chocolate, etc.) but consumer research is showing that our tastes are getting quite a bit more refined. What do foie gras, blue cheese, and tequila have in common? You guessed it, they’re all ice cream flavours! While some of you can’t imagine trying a meat-flavoured ice cream, research shows that a significant portion of adults are willing to branch out and try non-traditional flavours. At the forefront of this research is the millennial consumer, with 49% of those surveyed stating that they would like to delve into uncommon varieties. If ice cream retailers want to keep up with this frosty trend, it is important to advertise your products to the consumer. Let’s face it, if there’s a crème brulee ice cream being sold, most of us would want to know about it, right? A great way to do this is with a shelf talker. Here at Dana, our shelf talkers are made from clear rigid PVC, DIF -40 Freezer Grade material. This means that our shelf talkers won’t crack or lose their integrity when placed inside store freezers. Along with that, they are also printed with Vulcanized Inks™ to ensure that your message is vibrant and can be seen through the freezer glass. If you’ve got a tried and true flavor like vanilla (aka the world’s most popular flavor), why not advertise that as well? Research shows that while mature consumers are more likely to stick with their old favourites when it comes to flavor, they are also more likely to opt for higher quality and natural versions of those. A shelf talker that advertises 100% local milk or old-fashioned production methods goes a long way with the 55+ crowd. If you want to make your ice cream stand out from the rest, contact Dana today to find out how we can help!